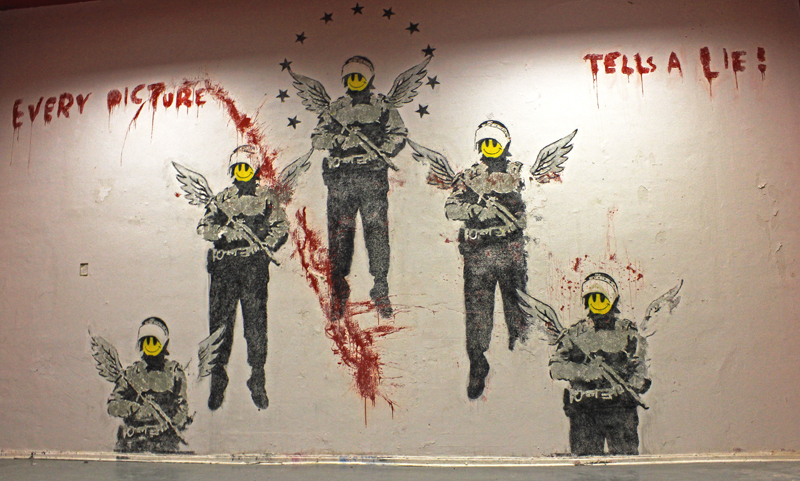 What happens if two Berlin based street art legends collaborate? A lot! 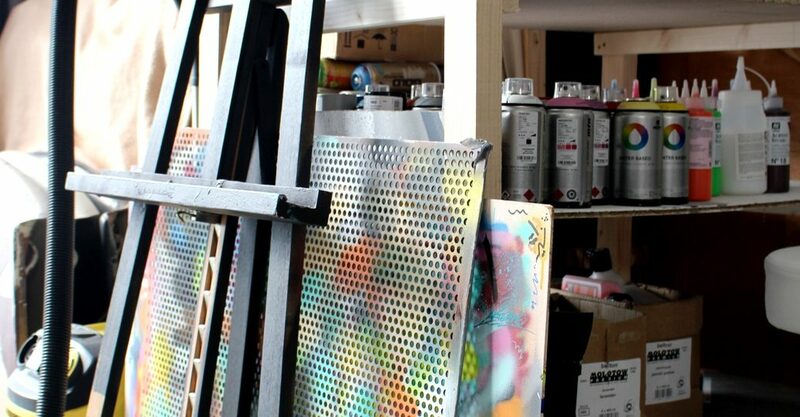 Regarding to an event that maybe revoluts the street ink market, Street Art Berlin had the change to visit two of the ink- testing artists in their studio in advance. But first of all: Who are they? We are talking about Akte One and Cren. 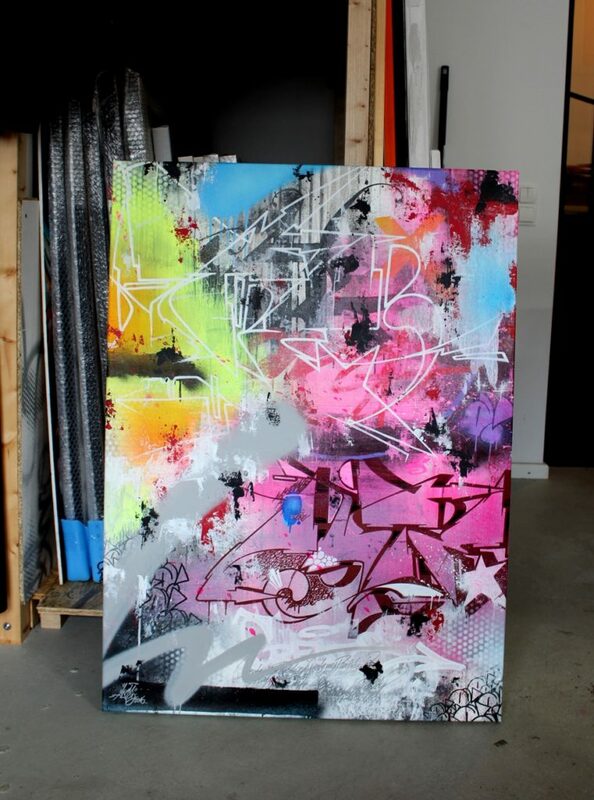 Akte One has become one of the most established representatives of the graffiti scene. 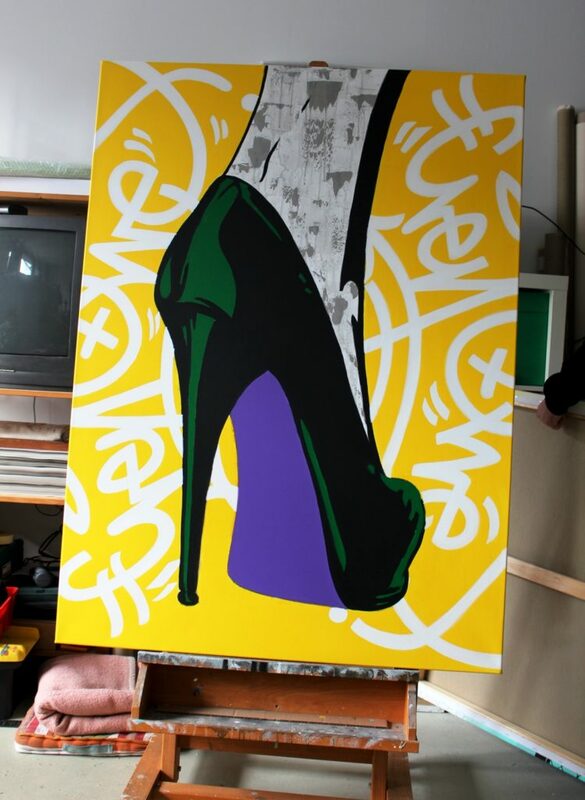 As an famous style writer he now turns additionally to commissions and canvases in galleries. In 1991, when Akte joined his first graffiti crew, he finally experienced the acceptance as a personality he had been looking for. Gradually, he discovered a world that at first was mysterious and secretive to him, the world of his own pictures and tags that has been holding him in its spell until today. Akte painted on walls and other media and learned that he was respected for it. Akte One is also an well-known hip-hop-musician. 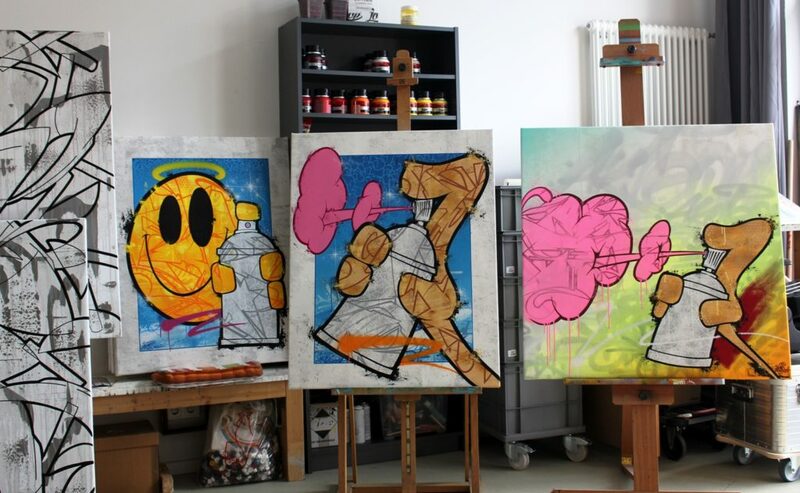 Since about one year Akte One joined Michel Pietsch, formally known as Cren, as a partner in his studio. 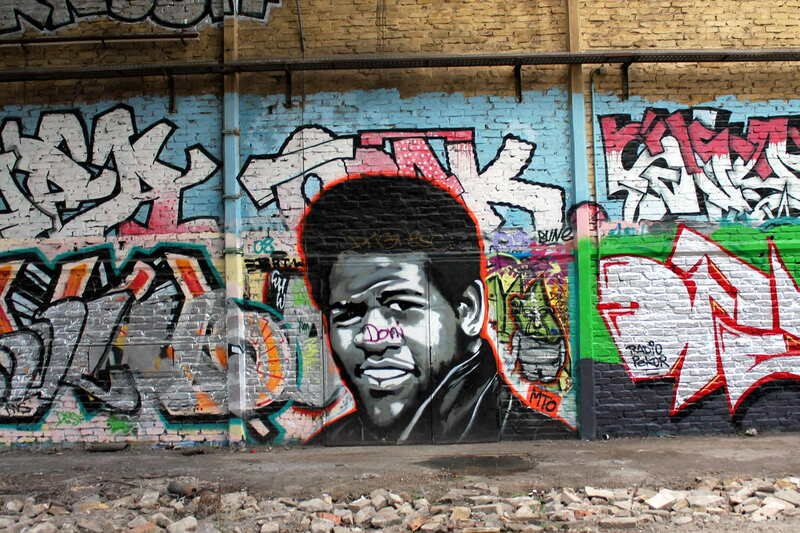 Cren was born in 1970 and started his graffiti carreer in Hannover, Germany, where he was raised. From 1989 when he started to do street art and graffiti. Now he has painted walls with his letterings in more than 14 countries and on three contintens. He works on calligraphic compositions and lettering. Both artists got to know eachother accidently and found out that they would fit perfect as a team in work and private relationship. 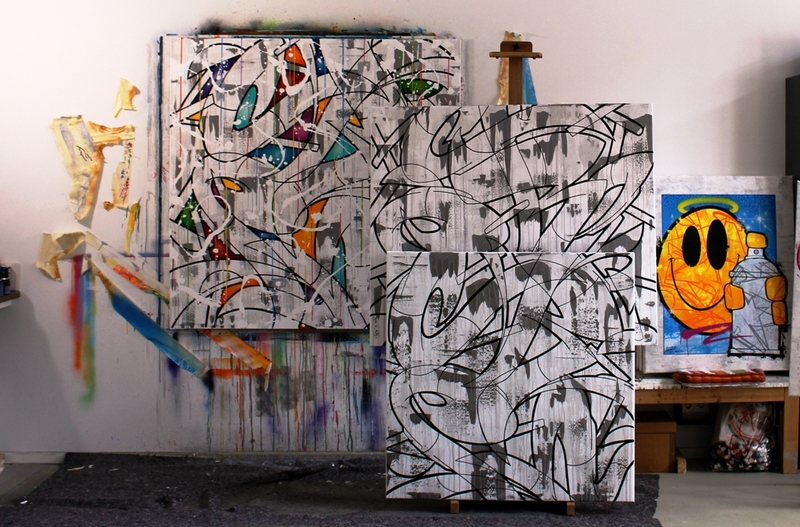 Both are doing canvases in their studio that combines (former graffiti) letters and figurative elements. They also use an inspiring 3-dimension-technique that let the art works appear voluminous. 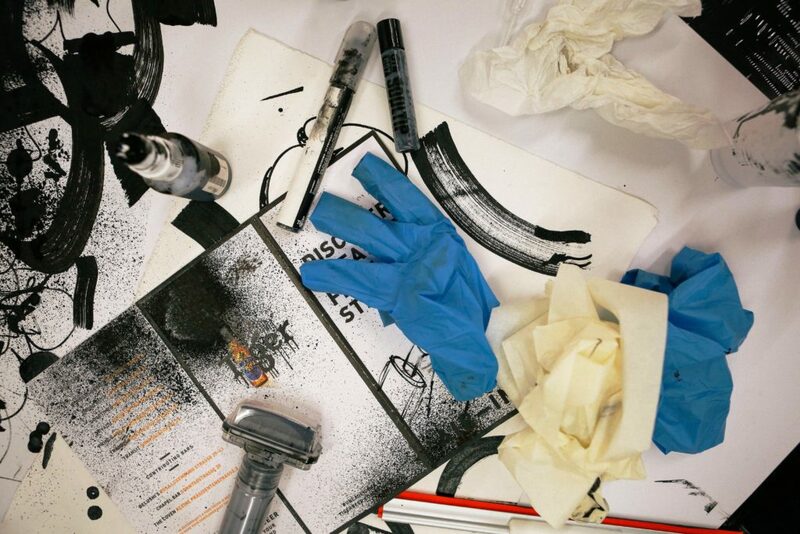 New aswell is a technologiy that engeneers air pollution into ink that both artist were testing for promotion studies. First it sounds weird that a big international brewery invests in artists supplies. 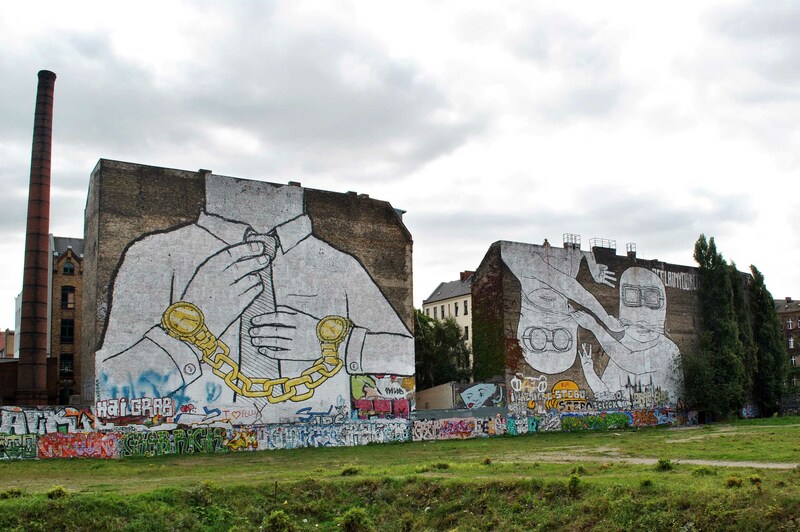 Street Art Berlin isn´t also interested in making any promotion BUT we are convinced about this idea of recycling air pollution into into art ink. 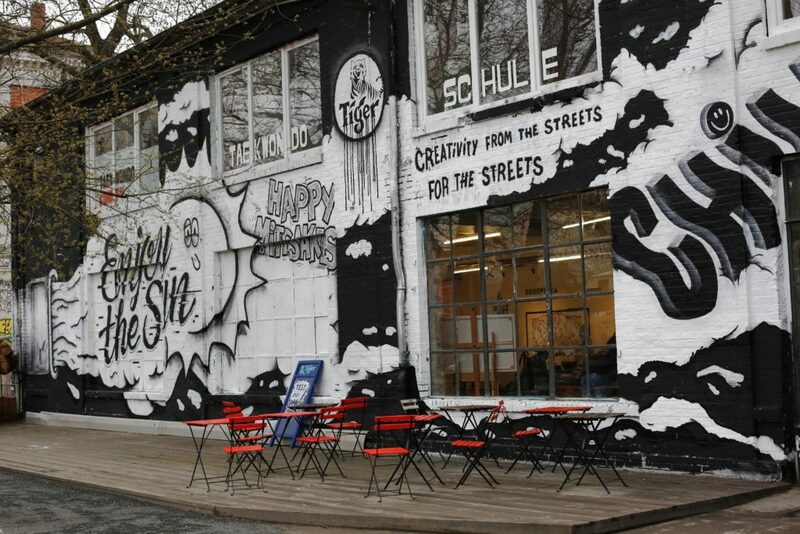 During a promotional stopp in Berlin at Urban Spree Akte One and Cren could test the so called TIGER AIR-INK and had a lot of fun creating new street art pieces with different sizes of painters and materials.